Yamaha Motor's 3rd ROV Model Wolverine to be Released in North America. Recreational model that combines excellent off-road performance and comfort - News Releases | Yamaha Motor Co., Ltd.
IWATA, January 21, 2015 – Yamaha Motor Co., Ltd. (Tokyo:7272) will release the new two-seater ROV (Recreational Off-highway Vehicle) model Wolverine in the North American and other markets in March 2015. The ROV is one of the mainstays of Yamaha Motor's Recreational Vehicles business, as they have been gaining popularity in North America in recent years. To meet this demand, the company has been releasing new ROV models annually since 2013. This model will be manufactured by our group company in the US, Yamaha Motor Manufacturing Corporation of America (YMMC). The ROV has a wide-ranging market from commercial to recreational and sports use, and its demand is increasing, particularly in North America. The two previous releases, the VIKING and VIKING VI, were multi-purpose models primarily targeted for commercial use, including farming. 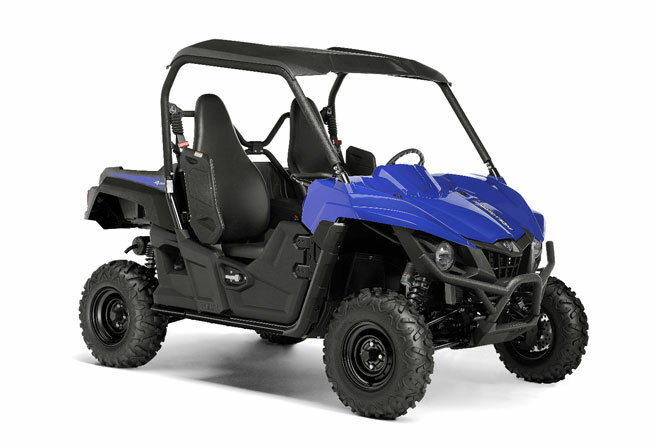 The new Wolverine, however, was developed as a recreational vehicle with the in-demand combination of excellent off-road performance and passenger comfort. Features include: 1) chassis design offering both off-road performance and a comfortable ride, 2) high back bucket seats that hold the rider and passenger in place while also offering comfort, and 3) a CVT that offers excellent acceleration and natural engine braking at all engine speeds. The model will be available in four versions: the standard Wolverine R-Spec; the Wolverine R-Spec EPS, which features electric power steering; and the Wolverine R-Spec Camo and Wolverine R-Spec Camo EPS, which feature the Realtree Xtra® Camo paintwork. With the addition of the Wolverine, Yamaha Motor now has three ROV models. The company aims to continue its annual release of new ROV products in a bid to further expand sales by establishing a unique and wide-ranging product lineup. This model is not certified to be ridden on public roads.